In this enormous world diversity exists at the very nucleus. We are diverse at all levels starting from our actual being to individual thoughts. There has been and will always be the need to work on this diversity. For addressing this need, it’s very important to develop appreciation towards it and understand the value of inclusion. Hence this year’s Jumbish is an endeavour to promote the same. This is the 8th annual Jumbish, which first started with the spirit of lionizing active citizenship and sure such will be the fervour and intent this year too. Furthermore this year’s celebration will strongly be addressing to the issue of ‘Inclusion – Lets create Together’, ultimately layering it all with the principles and purpose of 5th space*. Throughout the day of event, various colleges/schools/organizations/other institutes will visit as well as perform on any social issue they feel for. The intent being, provide an opportunity to them for sharing and showcasing their skills at a larger platform. In addition to that, around 10 young change-makers will be recognized, appreciated and felicitated for their good deeds. Also, there will be various sessions and film screenings befalling within the design of the day. Various non-profit organizations will put up their stalls and simultaneously there will be some outside activities/games taking place. There are no political affiliations or agendas in this festival; it’s about diverse and enthusiastic young people from the city who have got together in order to celebrate the feel of social action and hence transformations at the levels of self, relationships and, society. Those who wish to participate in this event are welcome to contact us, or just come and be a part of this gala on the 10th October, 2015 from 10 am until your energy sustains. 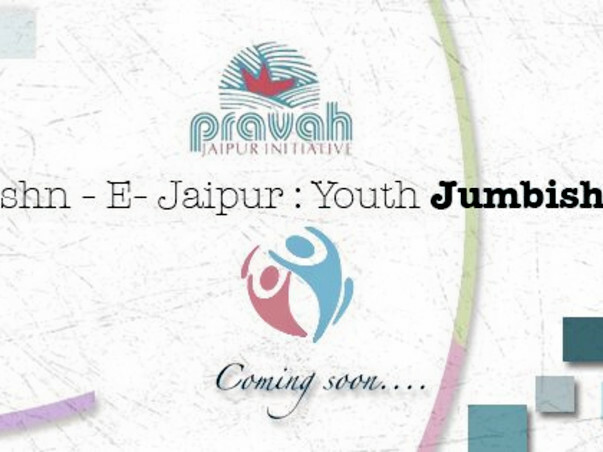 The event is part of the larger vision of Pravah Jaipur Initiative of inspiring young people to embark the journey of ME to WE, moreover advocating the concept of 5th space*-which facilitate young people to expand beyond the typical 4 spaces of career-education, family, friends and leisure by exploring a journey from self to society and back. We seek to recognize the more inclusive space where young people from different backgrounds get along to blow the triumph of volunteering and change-making.